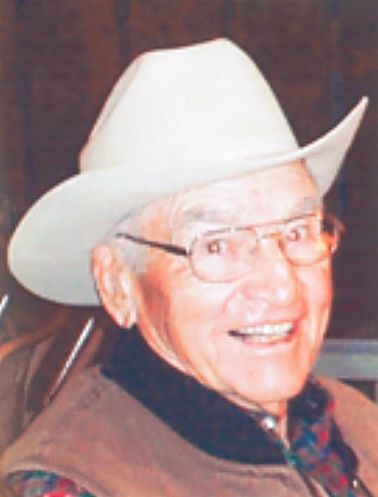 The Fence Post obituary: George William Volk Jr.
Gunnison and Delta Counties, Colo.
Gunnison and Delta County resident George William Volk Jr. passed away Dec. 11, 2017, at Delta County Memorial Hospital. He was 95 years of age. George William Volk Jr. was born March 28, 1922, to George William and Marjia (Tezak) Volk in Ragged Mountain, Colo. He was a lifetime resident of Ragged Mountain, attending Spring Creek County School House in which he rode a horse to school. On June 26, 1943, George married Margaret Burtard in Bowie, Colo. This union was blessed with a son, Gary, and daughter, Margo Ann. Margaret passed away in 1995. George married Betty Casselberry in July 1997 in Redstone, Colo.
Mr. Volk attended Redstone Church. He was a member of the Paonia Masonic Lodge, a 32nd degree Scottish Rite Mason. George also was a member of the Hotchkiss Elks Lodge 18, he was a co-founder and first president of Delta County Livestock Association and the founder of Ragged Mountain Water Association. He was on the Colorado Range Management Committee for several years as well as the Gunnison County Planning Commission and Outfitter Association. In his free time he enjoyed cattle raising, fishing, hunting, wood working and building furniture, including his homes and lodge. George is survived by his son, Gary (Gail) Volk of Eckert, Colo.; two grandchildren and three great-grandchildren, one step granddaughter and step-great-granddaughter. He was preceded in death by his daughter, Margo Ann Keiser; two brothers, Rudy and John Volk; three sisters, Marie Kuykendall, Annie Bear and Francis Gallob; and one granddaughter, Michelle Taylor. The family requests memorial contributions to be made in George's memory to the Scholarship Fund, c/o Delta County Livestock, P.O. Box 2071, Hotchkiss, CO. 81419.